Jaydeep steel offers a wide variety of Alloy 20 Pipes & Tubes to both Indian and international customers. 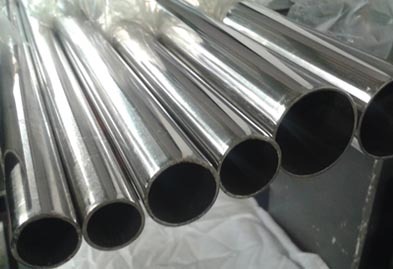 As a renowned Alloy 20 pipes supplier, we make sure that all our products are manufactured according to the international and national quality standards. Alloy 20 is an austenite alloy that is specifically put to use in applications involving sulfuric acid and also provides high resistance against chloride stress corrosion cracking. Alloy 20 pipes offer excellent mechanical properties and are relatively easy to fabricate. 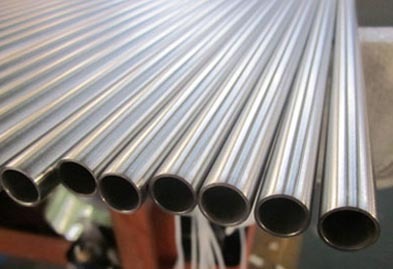 Alloy 20 Tubing is found to be useful in various industries like pulp and paper mills, chemical plants, power plants, and petrochemical industries. Alloy 20 Seamless Pipes & Tubes are extruded and drawn from a billet and offer a higher range of safety measures. These are usually more expensive than the welded pipes and tubes. Also, they don’t show any signs of corrosion under normal atmospheric conditions. Alloy 20 Welded Pipes & Tubes are manufactured from a strip that is roll formed and welded to produce a tube or pipe. The welded tubes and pipes can be produced in long continuous lengths. Alloy 20 Cold Drawn Pipes & Tubes are produced by passing the hot-rolled stock via a die at a cooler temperature, thus reducing its diameter and increasing its length. Alloy 20 Electropolished Pipes & Tubes have a shiny smooth surface that gives them a pleasing aesthetic. These are available in shapes like Round, Square, Rectangular, Hexagonal, Hollow, Oval and many more. Get in touch with us today to get a free quote and order our high-quality products with the best possible price range. Jaydeep Steels stocks a wide range of materials and grades. Below are a list of all standard alloy 20 pipes and tubes materials and grades we stock. Our experienced team of metal experts will get you the metal you need when you need it. Call us today for your Alloy 20 Pipe & Tube Needs!